Last year, our organization released a white paper, Electrification of BC, that addressed the emission reduction potential and load growth required to electrify our province's top three carbon-emitting sectors: industry, transportation and built environment. Since its release our team has had over 30 briefings with government, industry, NGOs and industry associations. Many of the points raised in our Electrification of BC white paper have been incorporated into CleanBC. Currently, 75% of CleanBC has been identified but most of the clean energy sector's opportunities lie in the remaining 25%. 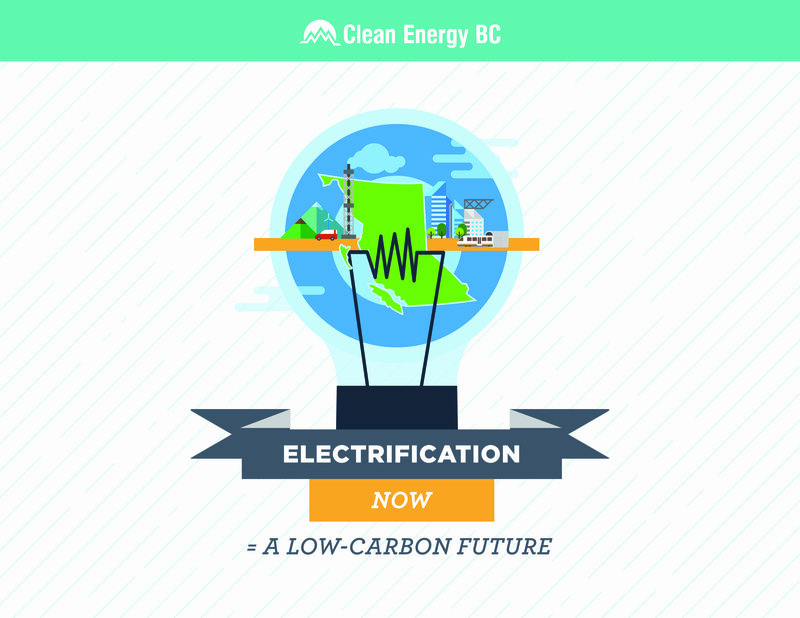 Clean Energy BC is hosting a webinar on our Electrification of BC white paper. Join us and explore our findings — this free webinar is taking place from 10:30 am – 12:00 pm on Wednesday, March 20th, 2019. There will also be a question and answer period included in this time frame. Sign in instructions will be sent closer to the date.